Acharashraddha and Vishangka offer a week of pujas and readings to help us to connect more with the Buddha and his life. Five daily events and periods of practice lead up to Buddha Day, our most important festival of the year. No need to book or to come to them all – just turn up to as many or as few as you like. Tonight’s reading will be a Jataka Tale, followed by a Sevenfold Puja dedicated to Shakyamuni. It’s for Order members, Mitras and Centre regulars who have completed a Buddhism Level 2 / Going Deeper course. Please get in touch if you’re not sure. Starting with tales of the Buddha’s previous lives, commonly known as Jataka Tales, we’ll contact the qualities that lead to enlightenment. We’ll then move into a period of praising the Buddha, expressing gratitude for what we have been given. 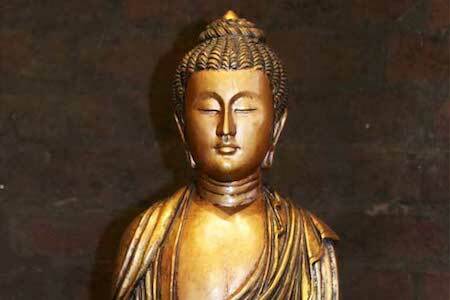 On Buddha Day itself we will hear the story of the Buddha’s quest for enlightenment and his awakening. The Blessed One is he, and I am his disciple.